My druid tries his best to make a heart. Players that I admire. That's a tough question. There are definitely players that I recognize as being exceptional, whose skills I respect. But do I admire any of them? 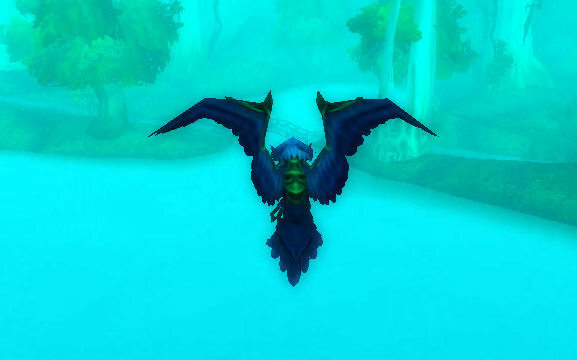 There are people that I admire who play World of Warcraft, but it's not necessarily because of how well they play. I admire other bloggers for being able to do the types of things that I never would want to do such as leveling, loot, and boss guides. I admire theorycrafters for slogging through the mathematics of this game to help us find our optimal gearings and rotations. I admire the strategists who are the first to clear content for figuring out and disseminating the information about how to best tackle an encounter. I admire several of the people that I follow on twitter for standing up for what they believe in and calling out the assholes who would dare challenge them or keep them down. I'm non-confrontational to a fault. I admire my dad for his unwavering commitment to the jobs he's had. He's 71 and is only retiring this year. I admire my mom because her biggest flaw is caring too much. I admire my brother because he has never stopped trying to find that thing, that profession that will make him happy, even though he's had a difficult time of it. I guess I lied when I said there aren't people that I admire for how well they play. For many years now, Sarah has been healing me and she's always done a fantastic job of both healing and working with fight mechanics. I've never once been dissatisfied with her performance as a healer. Just yesterday (Sunday) in Zul'Aman, when I let one of Jan'alai's bombs get me, she saved the attempt with a clutch Lay on Hands. When I've been healed by other healers in the past, I often find myself wishing it were her. Lastly, I admire you all, dear readers. You're all attractive, funny and intelligent. RAWR.